Just pre-ordered a new iPhone 6S? Why not get the official iPhone 6S case to go along with it. This one is only $17 from Amazon. On Wednesday of last week, the iPhone 6s was announced at Apple’s Hey Siri event, and this past Saturday morning it went on sale for pre-order. While the device features an amazing design, you are probably already thinking about cases. A case can make or break the phone, and you want it to be both protective and stylish. Amazon has a plethora of cases available for under $20, and a favorite of the KnowTechie Deals team has to be the Neo Hybrid Carbon Case from Spigen. This case comes in at just $16.99, which is not too bad in terms of pricing for a case, since they can run pretty high. This case from Spigen is available in a range of colors and will cost you up too $18.99, but all models will come with free Prime shipping. 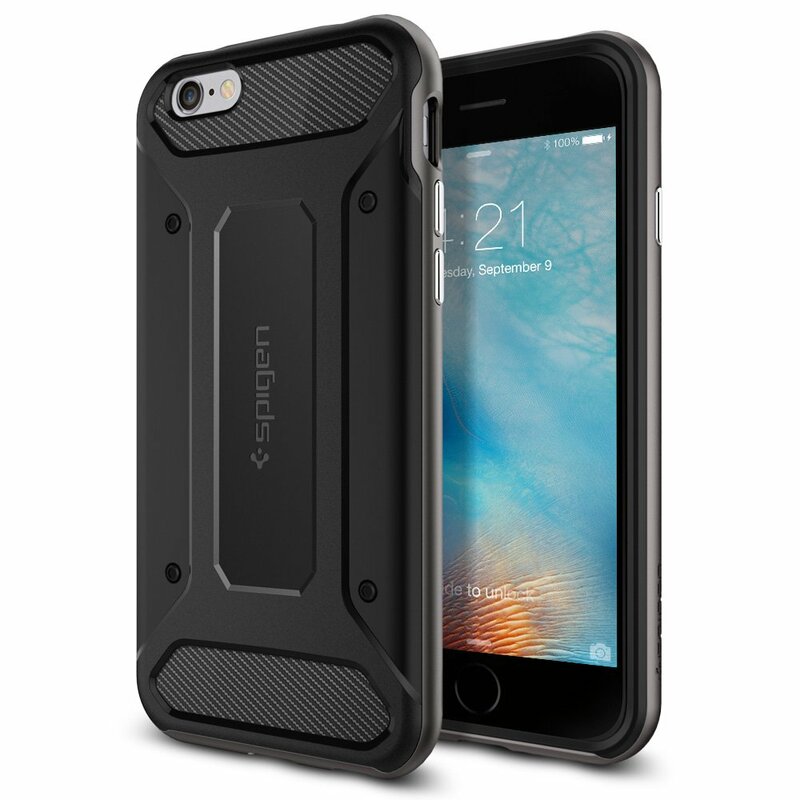 The case features a PC frame and a shock-absorbing TPU build, plus it has a carbon fiber design for added style. Even better this case comes in with a 4.8 star rating with over 300 reviews (for earlier models), plus this is not a special deal from Amazon, so the price should be this low for quite some time!